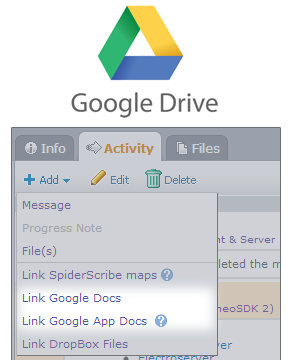 We just updated our Google Docs and Google Apps Docs integration to work with new Google Drive interface. Now you can easily link any files from Google Drive – documents, pictures, etc. Using 5pm and Google Drive together makes it easy to collaborate on word documents and spreadsheets without worrying about the latest version.